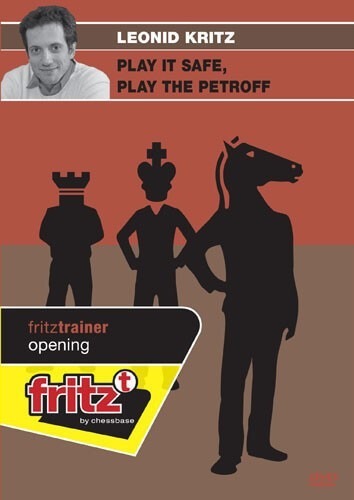 This DVD is dedicated to one of the most solid openings in modern chess theory - the Petroff Defence. The opening owes its popularity to such players as Anand, Kramnik, and Gelfand, who frequently employ it against opponents of all levels. Many new ideas and in-depth analysis are introduced, some of them even reach into the endgame. But that's an inevitable part of studying the Petroff Defence - precision until the very end is required from the player who has the black pieces. The DVD covers all the main lines and most of the sub-variations and provides a solid background for players of any strength who are willing to study this opening. Video running time: 4 hours 37 min.